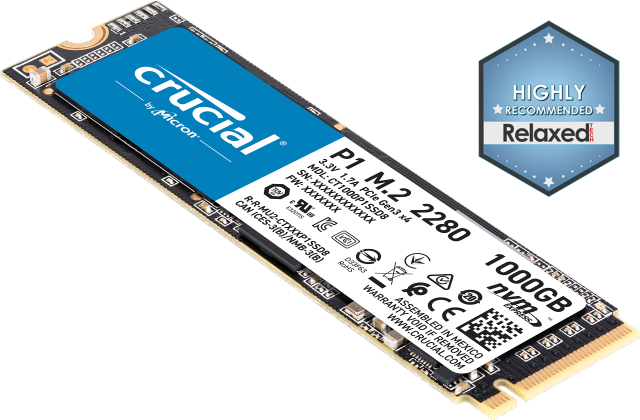 Upgrading your system's memory or storage drive can be scary — that's why it's risk-free at Crucial.com! When you order on Crucial.com, you're backed by three powerful levels of protection that are unmatched by other online retailers. Here's what we offer to make sure that your purchases are risk-free. When you use our Crucial System Scanner or Crucial Advisor tool to purchase compatible modules for your system, we guarantee compatibility – or your money back. If your Crucial memory or SSD upgrade is not compatible with your system, return it within 45 days of purchase, and we'll issue you a full refund. Have a problem with a product you purchased on Crucial.com? Give us a call toll free and we'll work out a return. For up to 45 days, you can return your product and get a full refund – for any reason. In contrast, other online retailers typically offer only a 20-30 day return policy – with strings attached. When you shop at Crucial.com, enjoy peace of mind knowing that you'll have more time to evaluate the effectiveness of your purchase because you can return it for any reason, no questions asked. 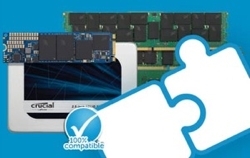 All Crucial memory modules are backed by a limited lifetime warranty, and all Crucial SSDs are backed by limited three-year warranties. With our leading warranties, you can feel confident that your upgrade will work as intended for many years to come. For complete details on our warranties, see our Terms of Sale. If you have any questions or concerns about installing, using, or optimizing a Crucial upgrade, our memory and storage experts are only a moment or two away. You can chat live through Expert Online, contact Customer Support by email, or give us a call and we'll troubleshoot a problem with you over the phone. At Crucial.com, we know that making a call to tech support can often be one of the most frustrating experiences. That's why we only hire relatable and understandable tech support specialists. If you buy from Crucial.com, you'll notice the difference! The security of your online purchase information is very important to us. That's why we use Secure Socket Layer (SSL) protection to encrypt your information as it crosses the Internet. We promise to keep the personal information you provide confidential. For more information about why shopping at Crucial.com is safe, see our security and privacy policies.